There’s no doubt word is getting out about the great work Action Team student volunteers are doing in communities across the country. It was recently announced that one of the Action Team’s national TV and radio public service announcement (PSA) campaigns -- titled ‘Are You In?’ -- established a new Goodwill Communications distribution record for national campaigns. 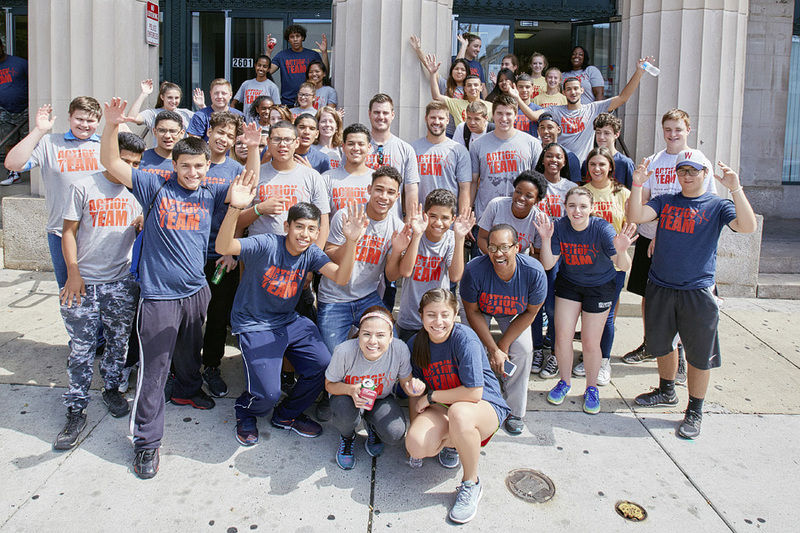 The Action Team national youth volunteer program was created by the Major League Baseball Players Trust and Volunteers of America to train and inspire high school students to become the next generation of volunteers. Major Leaguers provide participating high school students with the resources and inspiration to help encourage others to get involved. Today there are Action Teams in 100 high schools from 35 states, and, since the program launched in 2003, more than 91,000 high school students have volunteered to help over 280,000 people in need. Among the ways the Players Trust and Volunteers of America try to expand the program is through national TV and radio PSAs. According to Goodwill Communications, the company that distributes the Action Team PSAs, the ‘Are You In?’ campaign was the company’s most successful national PSA in its nearly 35 years of operating. This campaign, originally distributed in 2011, features Major Leaguers Carlos Pena (retired), Chris B. Young (Boston Red Sox), Michael Young (retired), and Action Team Captains from the Dallas/Ft. Worth, Texas area. According to a Goodwill Communications newsletter, the company distributed the PSA to 3,700 TV and radio stations in all 50 states, as well as 130 national broadcast and cable networks. In all, Goodwill puts the advertising equivalency value of the campaign at $128,058,813. To watch the ‘Are You In?’ PSA click here. To watch 'Teammates’ (Featuring LaTroy Hawkins and Craig Kimbrel) and the Action Team ‘Legacy’ PSA (Featuring Chris Capuano and Giancarlo Stanton) campaigns, please click here and here, respectively. Action Team Captains receive free posters and T-shirts to help support their efforts, and they are eligible for college scholarships provided by the Players Trust. Captains are also invited to attend regional Action Team community service projects to volunteer alongside Major Leaguers and, in recognition of their efforts and accomplishments, they receive free tickets to Major League baseball games and certificates of achievement signed by Major Leaguers near the end of the school year. Action Team applications and additional information can be received by visiting www.ActionTeam.org or by sending a request to ActionTeam@mlbpa.org .